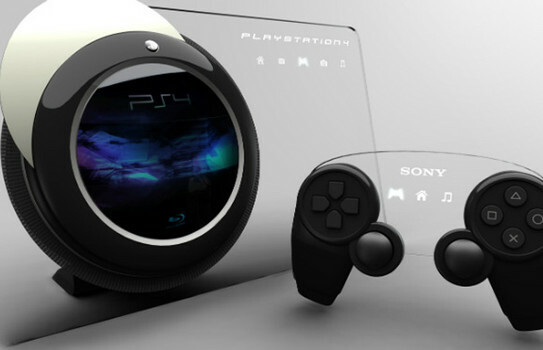 The Playstation 4 has been what many people expected as the next step for Sony, and no doubt, it will be released SOME day, but not today. Due to a string of reasons which could be found here, including the recession, the Wii's success due to "pick up and play" and the price tag and unecessary graphics power of high end gaming systems. 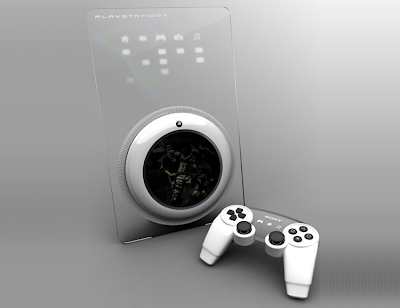 Regardless, people are already speculating as to what the PS4 will entail, including 3D viewing capabilities. 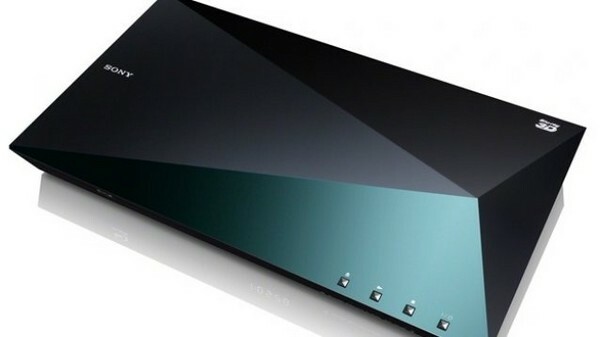 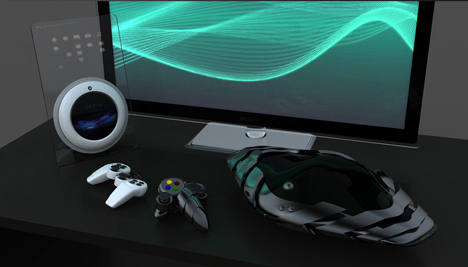 I personally think that whatever they bring out needs to be a step up from the PS3 and that is totally dependent on the advance of technology, and with recent hype of 3D films, television and games, this could well be where Sony takes their next gen console. Here is the best concept art for the PS4 I have found thus far, and I really like the transparency, although I am not sure what the circle thing is, how deep it is and what it does... and the white version looks ALOT better... but anyway... let's not get carried away.